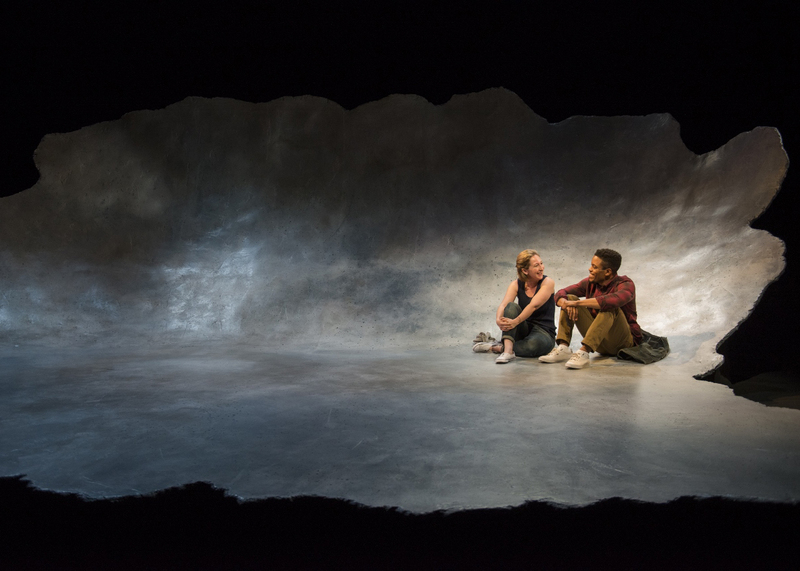 This abstract set for the world premier of the play Constellation at Steppenwolf Theatre looks like a monolithic concrete bowl. 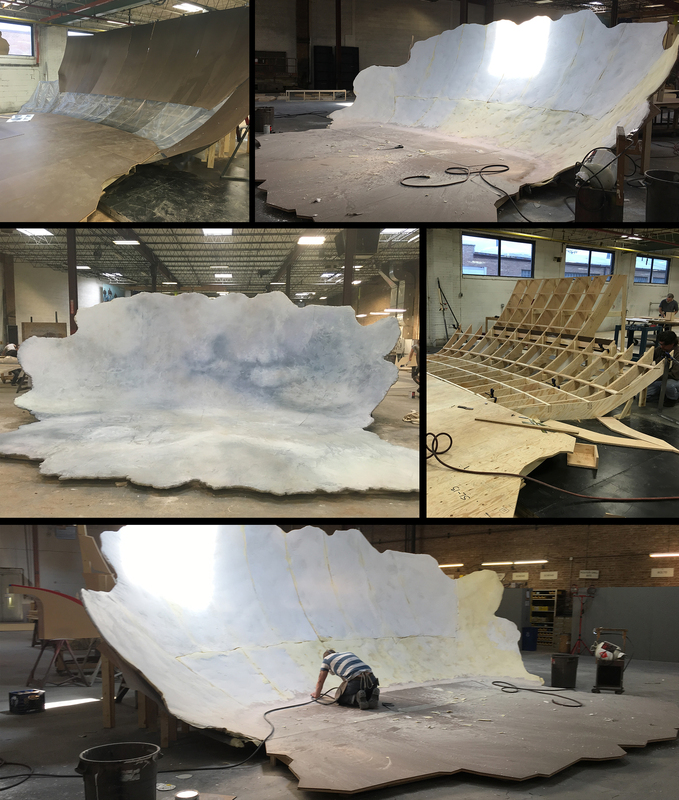 It is made out of plywood and hardcoated foam, and is sturdy enough to support multiple actors climbing and sitting on the wall. The amazing thing is that even though it looks monolithic, it comes apart in about 15 individual pieces that had to fit through two sets of double doors and a 48” wide hallway in order to be reassembled on the Steppenwolf stage.